These Soft Sugar Cookies are so sweet, buttery, rich, and delicious, you’d never know they’re made without the sugar, butter, and white flour! Sugar free, gluten free, dairy free and vegan SUGAR COOKIES?!? Um, hi, oh yes, I’ll take seven. Cookies are very difficult to “healthify” compared to other desserts like cake and ice cream since they require a specific ratio of butter:sugar:flour. Or, maybe they’re just difficult for ME to healthify because I don’t use butter, sugar and flour. I’ve always struggled with baking cookies… they either turn into soft and puffy muffin tops or crunchy cracker thingies. They’re either to moist or too dry. Or they crumble between your fingers. Or I burn them (oops). But finally, some good news: these cookies! These Healthy Soft Sugar Cookies are a breakthrough. A triumph. They’re soft and chewy, sweet and rich, addictive yet satisfying… and surprisingly healthy. They taste like Pillsbury sugar cookies sans the dangerous hydrogenated oils, unhealthy white sugar and bad-for-you bleached flour. 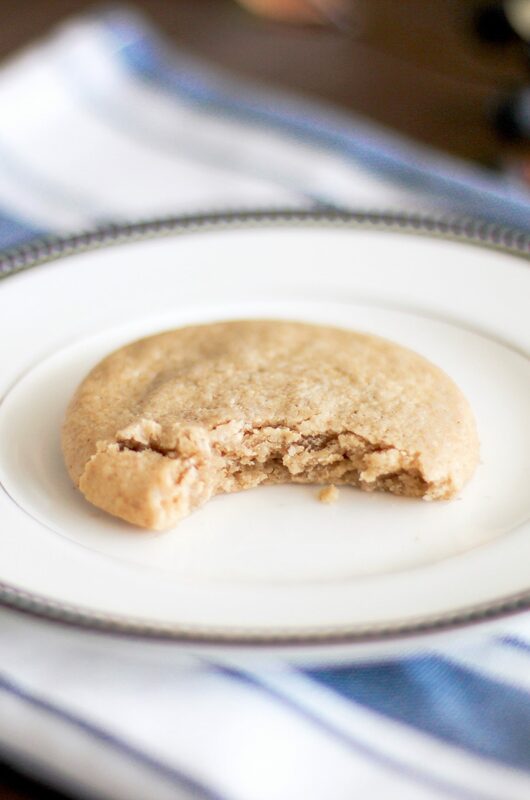 These Healthy Soft Sugar Cookies are secretly guilt-free! You'd never know they're sugar free, gluten free, whole grain, eggless, dairy free, and vegan. Use a medium cookie scoop to portion out the dough onto the prepared cookie sheet. Roll the dough portions into balls, then use your fingers to press them into patties. Form them just a tiny bit thicker and smaller than you prefer your cookies -- they spread out a little. Bake for ~12-14 minutes, or until baked through (when you tap the center of the cookie, it should be soft, but shouldn't leave a permanent fingerprint indentation). Slide the parchment paper off the cookie sheet and let the cookies cool completely. Serve immediately, or transfer them to a slider freezer bag and store in the freezer for up to one month. For a "freshly baked" cookie straight from the freezer, place a cookie on a plate and microwave for ~20 seconds! For a cookie that tastes almost identical to a Pillsbury sugar cookie, the difference in health is pretty drastic. Pillsbury sugar cookies have 3g of trans fats and nearly 1 tablespoon of sugar PER cookie, while mine have 0g of both. Sugar, Enriched Flour Bleached, Partially Hydrogenated Soybean and/or Cottonseed Oil, Water, Wheat Protein Isolate, Eggs, Baking Powder, Salt, Artificial Flavor. Ahhh! My eyes! My eyes! Like, seriously? Sugar, Bleached Flour, Partially Hydrogenated Oils? The first 3 ingredients alone are incredibly detrimental to your body. I can’t believe I used to eat that crap for the holidays (and any other festivity that included cookies). 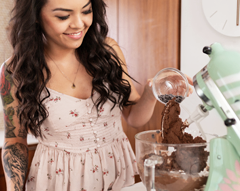 Oh and I love your desserts with healthy benefits, thanks for all the recipes! Count me in! 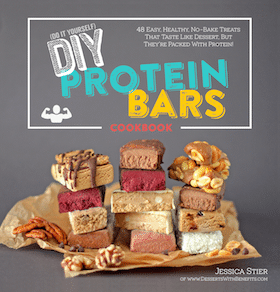 I love erythritol, and your recipes that use it. I signed up to receive the e-mails, followed you on Pinterest, and I gave you a thumbs up on Facebook. Good luck to everyone on the giveaway! Can’t wait to try this recipe. I love cookies! What is erythritol made out of? Is it chemically made in a plant? Erythritol is a naturally-derived sugar substitute that exists in many fruits/veggies, not a manmade/artificial sweetener, like Splenda. These cookies look delicious! I’ve wanted to try erythritol for a while, I so it would be wonderful to win this! I stay away from artificial sweeteners, so it would be nice to have a healthier natural sweetener option. You are amazing! These cookies look fabulous. I’m a little gunshy of new-ish sweeteners, but I’m totally down to try this! Those look amazing! I have used Erythritol but never the powdered kind, that looks awesome. Thanks for the chance to enter. Oh.my.stars.pretty.please. I’d bake every damn day if these were in my kitchen. Do you think I can substitute brownrice flour & out flour with 2 cup whole wheat flour in this recipe? I haven’t tried it but I’m sure the WW flour will work… I would also use 1+3/4 cups of flour, 2 cups might make the cookies dry. I guess you can add the 1/4 cup if the dough seems wet. Good luck!! These look really great. I feel you on the cookie difficulties. Love all the healthy desserts you post! Cookies are so hard to healthify, but these look fantastic! Can’t wait to make them. I used to looove those soft Lofthouse sugar cookies from the supermarket before I started eating clean — THANK YOU for providing a healthy alternative! soft sugar cookies are my FAVE! i’ve been trying to find a good GF recipe for a while – the ones i make usually turn crisp…love that these are ALSO sugar free! I’ve seen xylitol everywhere, and I thought stevia was the fad…hmm you’ve definitely intrigued me to do some research on what the difference is! And of course I subscribed by email! Your new blog looks awesome! These look delicious! I absolutely love all of your recipes! I’ve been wanting to try this for a long time; I just never got around to ordering some. Love the store cookies with that thick sugary icing, but they always were too much. I definitely am going to try making them at home soon! I am constantly amazed by how much you know about the science of foods to completely recreate recipes and still get amazing results! I was wondering, in your recipes where you use brown rice flour, can I sub with another flour or is that pretty essential to the recipe? I’d love to win these sweeteners, as I don’t like using sugar but would like to try some more baking!! 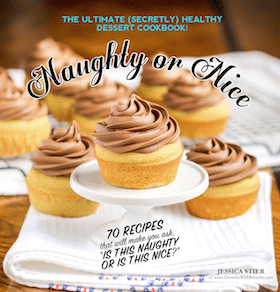 I would love to win some healthy baking supplies! I have tried coconut sugar, but not erithritol ( sorry if I botched that spelling!). I,d love to give it a go! And I’ve liked your Facebook page! 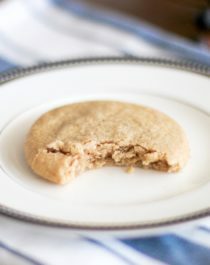 These look great, I am constantly searching for new gluten-free sugar cookie recipes without refined ingredients! Yea!! I love DWB I always follow you on pinterest! I’m excited to see all the yummy desserts you’ve made! Been reading since it was chockolawty! Loves. I love cookies! Would be awesome to try this!! I am trying to figure out when I should powder granulated erythritol for a recipe. In some recipes I can detect a grainy texture and in others I can’t. Love your blog! I make Peanut Butter and Dark Chocolate Shortbread Bars on a regular basis! Hi! I am just so excited I found your website! you are SO inspiring and I am so excited to never bake bad things again! yahoooo! The first thing I need to do though is buy the pantry staples…these ingredients would really be a great start! Take care!~! Love your blog 🙂 Thanks! Wow! Those cookies look exactly like those soft sugar cookies you can buy at the store! Except I can eat these without the sugar rush. Awesome! I had no idea what erythritol was until I came across your blog! I’m so glad I did. You have a wonderful way of connection with people and you seem very dedicated to your craft. Thanks for this new adventure for me! !